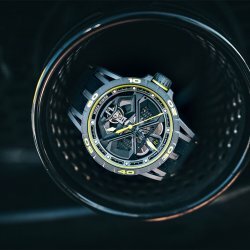 The launch of the Excalibur Huracán Performante on 1 December was accompanied by the arrival of Roger Dubuis’ new CEO, Nicola Andreatta. 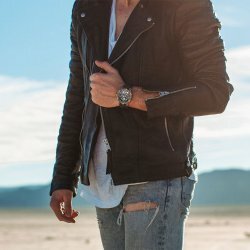 There are some announcements that make a mark on the road, that leave an indelible imprint that survives the inexorable march of time. 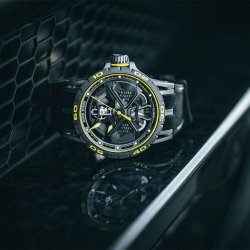 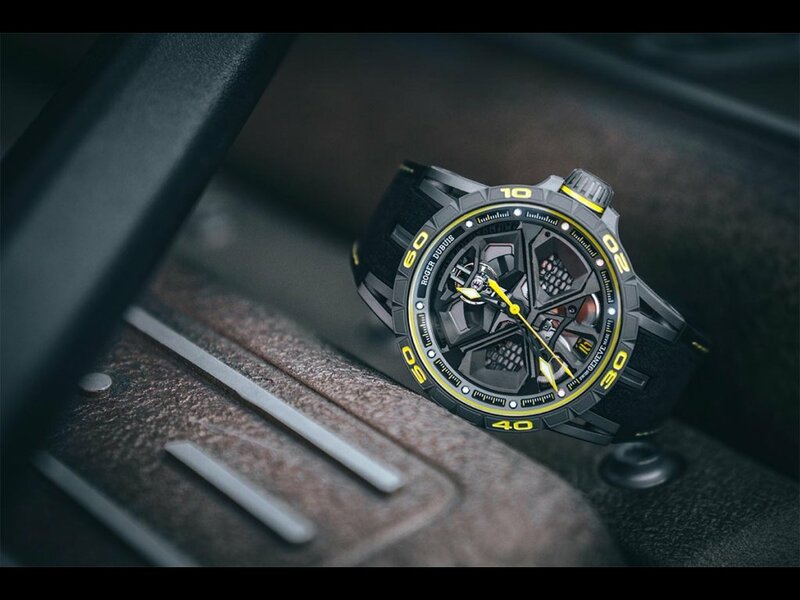 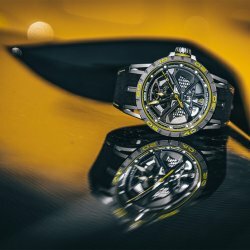 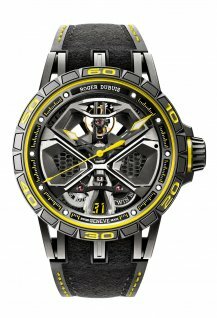 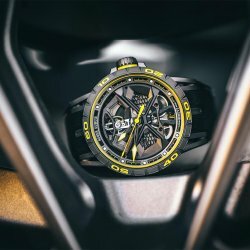 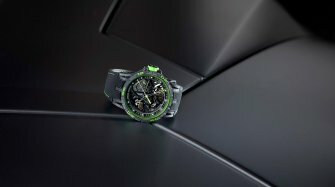 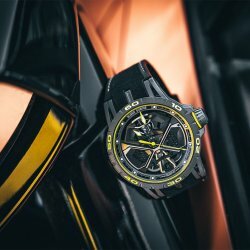 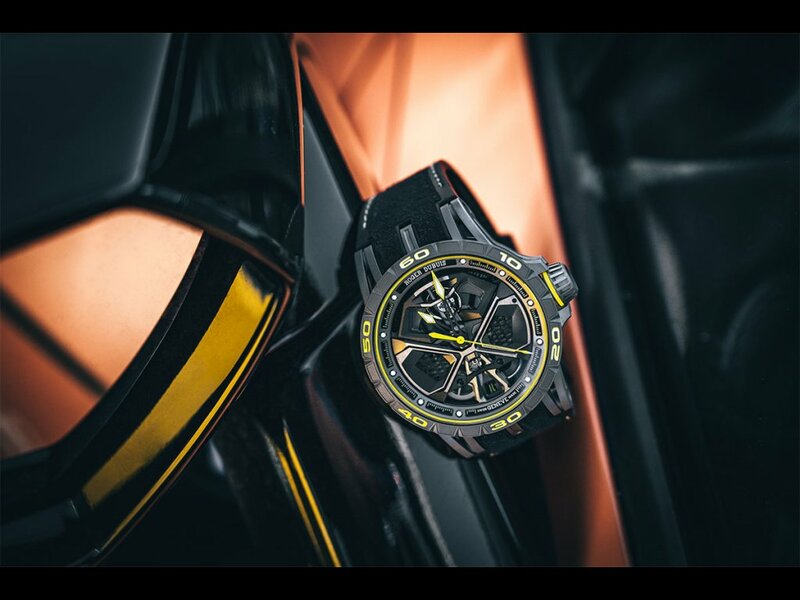 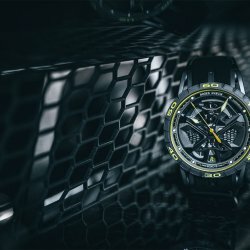 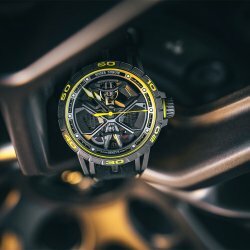 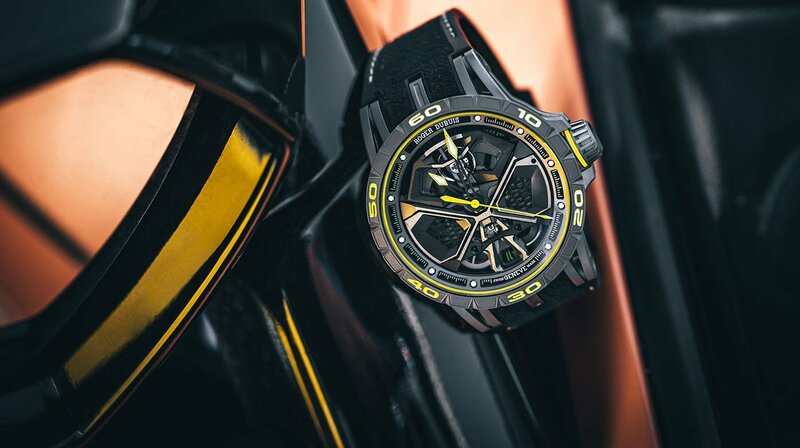 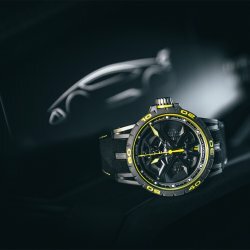 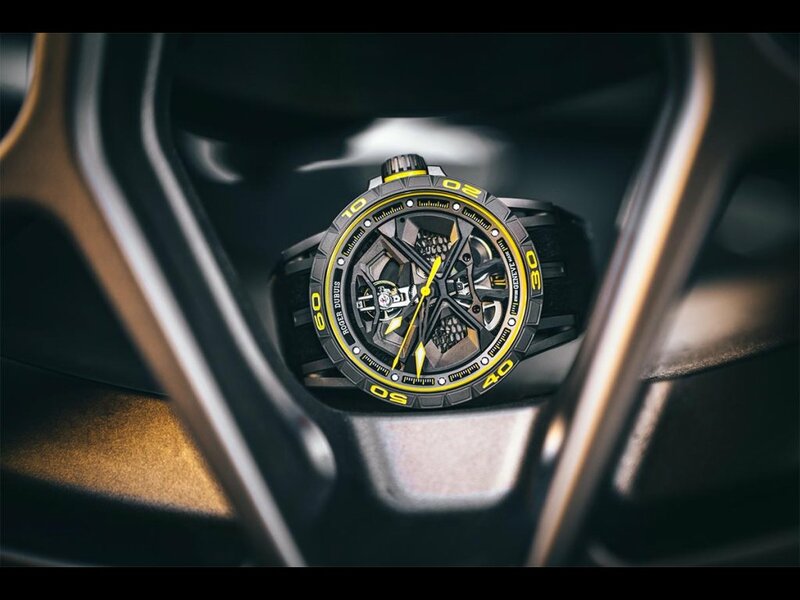 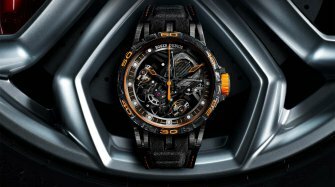 Two years after the launch of its performance-based partnership with Pirelli, which was followed up last year with a new arrangement with Lamborghini, Roger Dubuis has now teamed up with Lamborghini Squadra Corse, the sports department of the sports car brand beloved of millionaires. 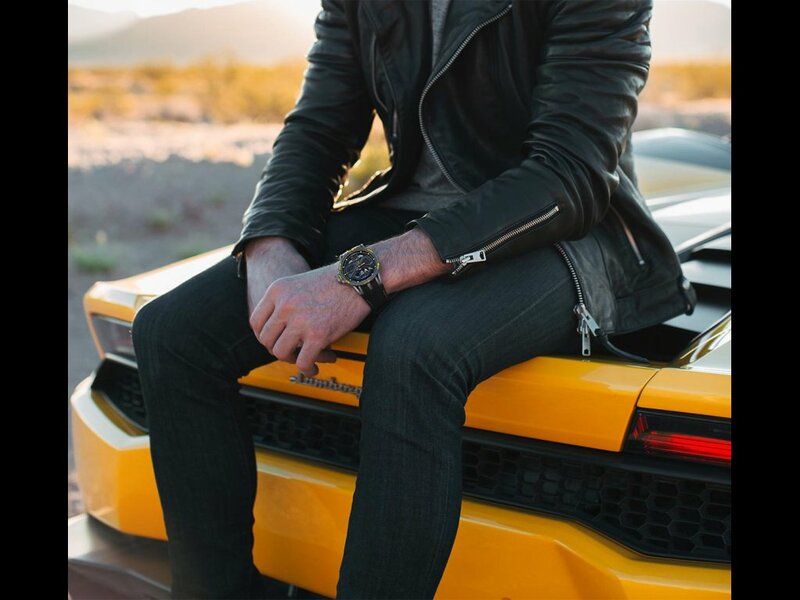 One exciting result of this collaboration is the Excalibur Huracán Performante, whose aesthetic codes take their cue from the Lamborghini of the same name. 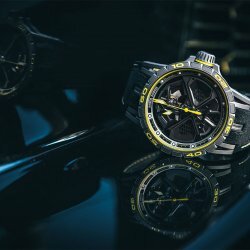 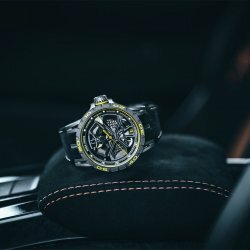 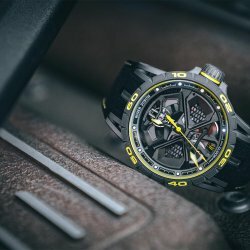 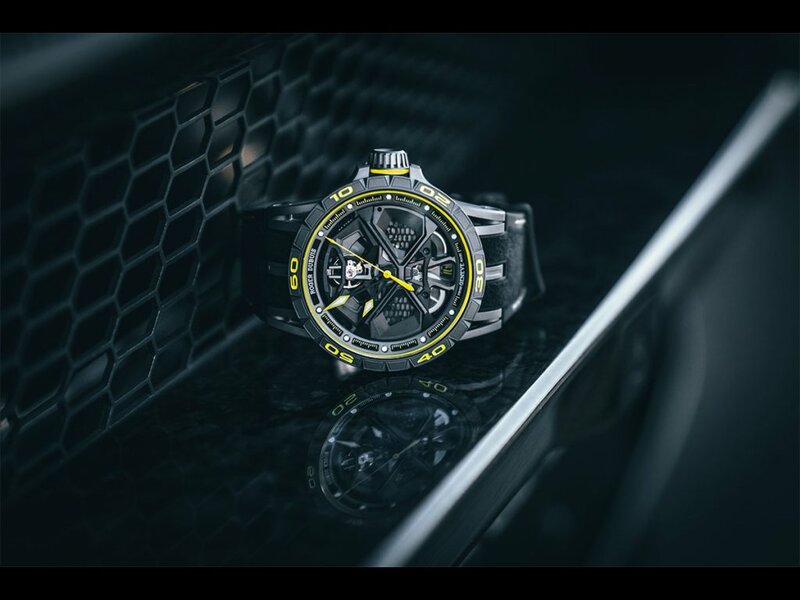 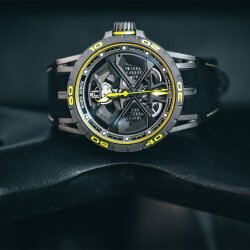 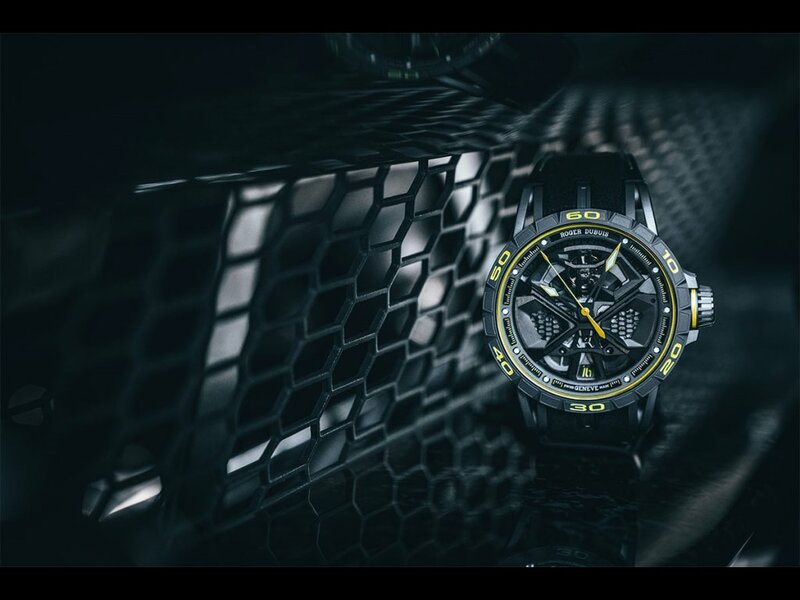 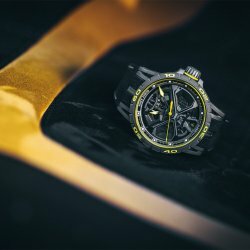 Engineers from the racing stable and watchmakers from the Geneva manufacture have worked together to create a watch that is the embodiment of power and exceptionalism, from its bridges in the shape of a V10 engine and its hexagonal nods to the supercar’s geometry, to the brand-new in-house movement with its balance escapement canted at a 12° angle. 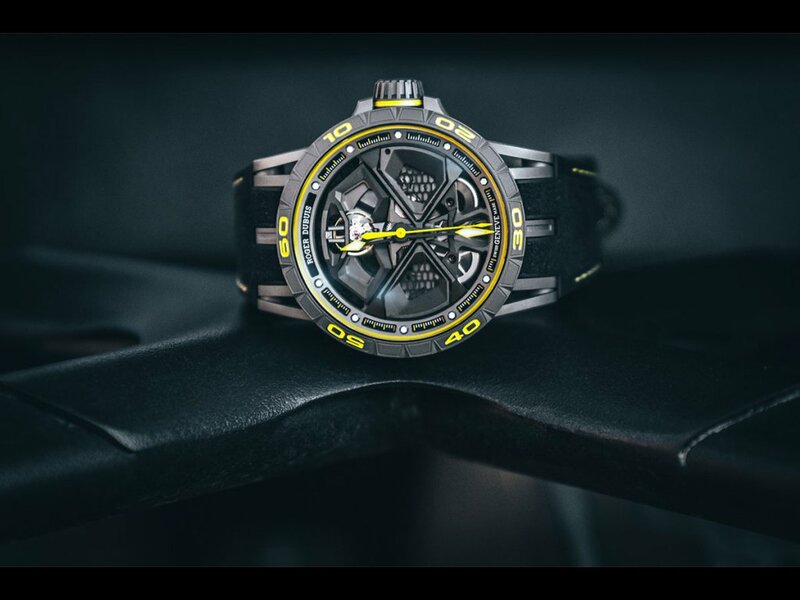 This highly distinctive limited edition in titanium also claims to be the only fully skeletonised timepiece (case and movement) available today. 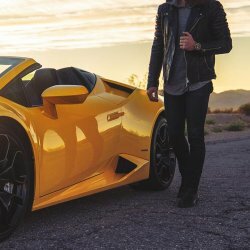 The Excalibur Huracán Performante was revealed to the press and Lamborghini owners at the final of the Super Trofeo at the Vallelungo pro circuit near Rome in mid-November, ahead of the official launch. 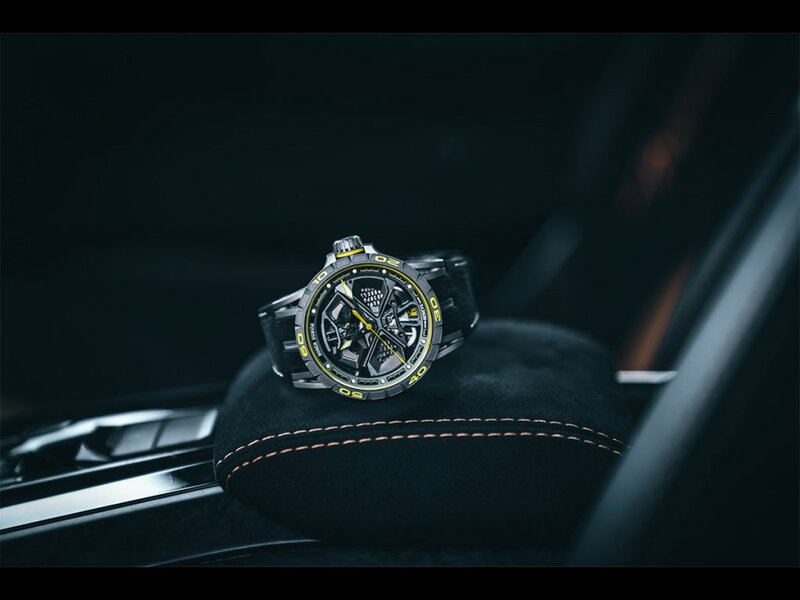 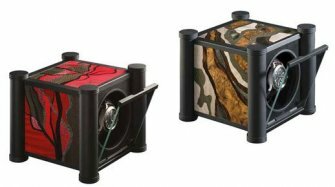 It is a limited edition of 88 pieces positioned at the entry level of the Excalibur collection, and will be sold for CHF 54,000. 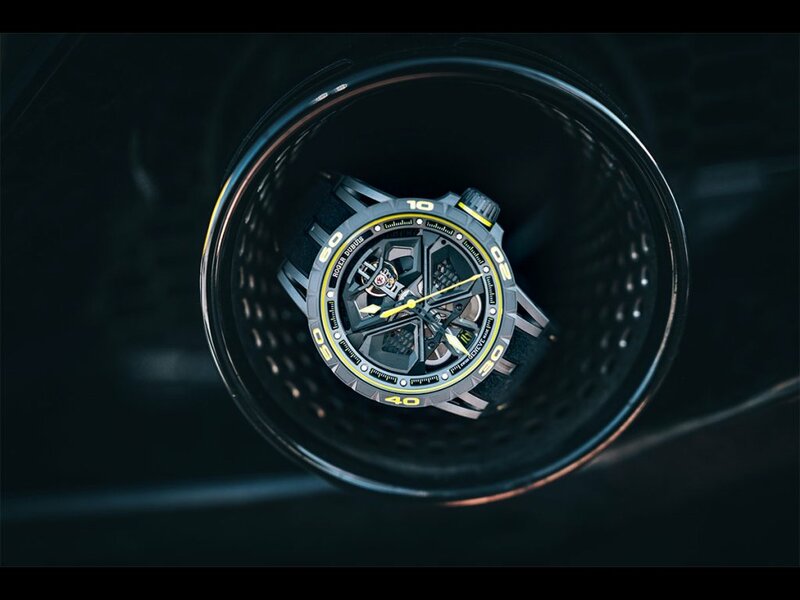 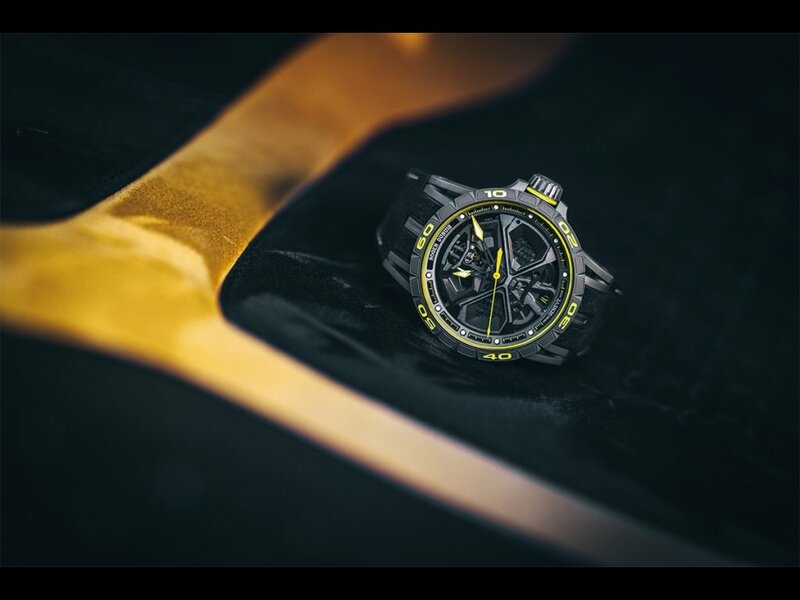 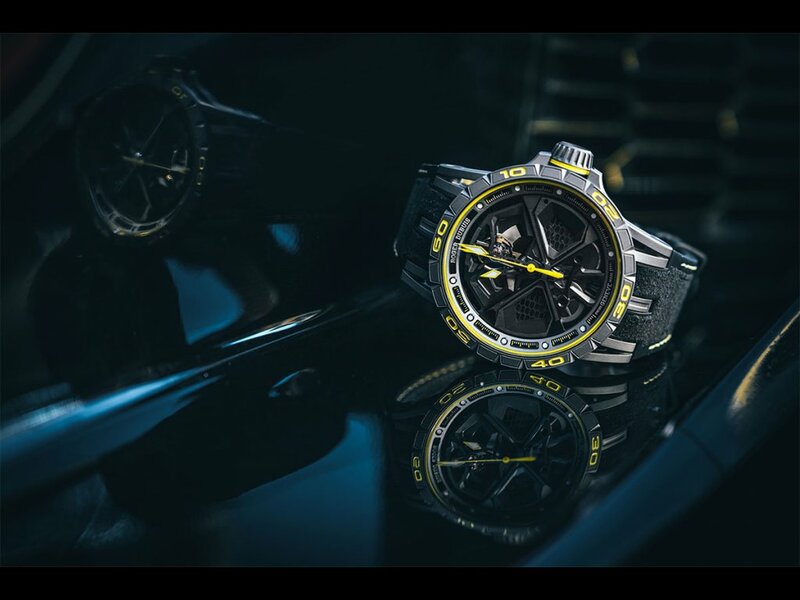 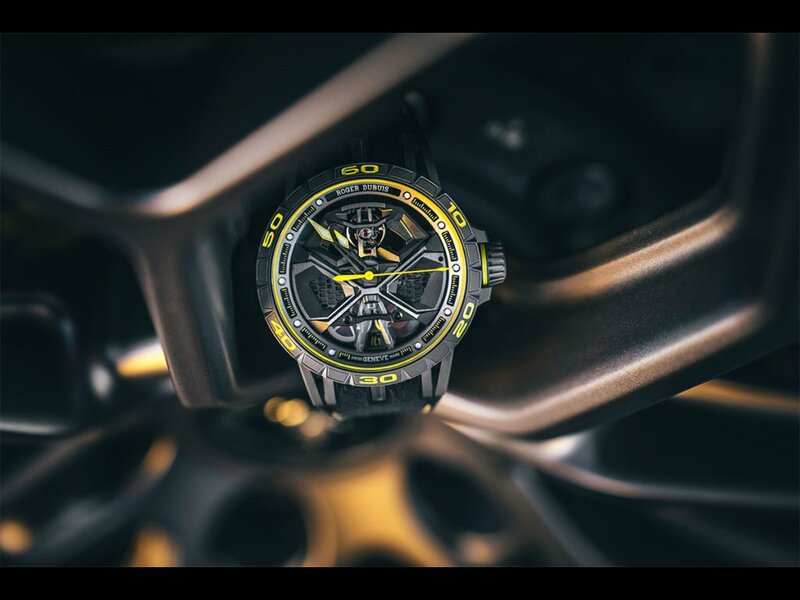 Because customer experience is an integral part of the Roger Dubuis concept, every buyer will be given the opportunity to discover the Super Trofeo in person, by attending a stage of the world circuit. 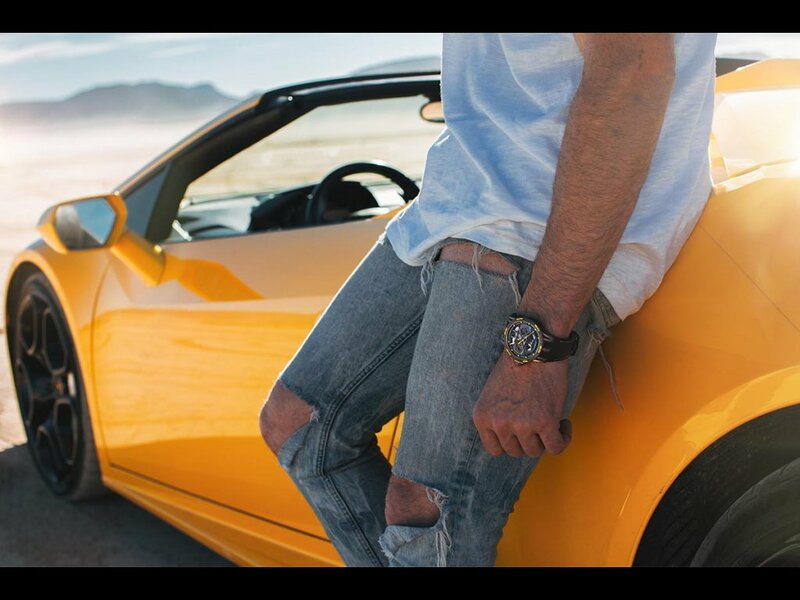 Some 70 owners were in Vallelungo with their cars, to compete in four categories: Pro, Pro-Am, Am and the Lamborghini Cup. 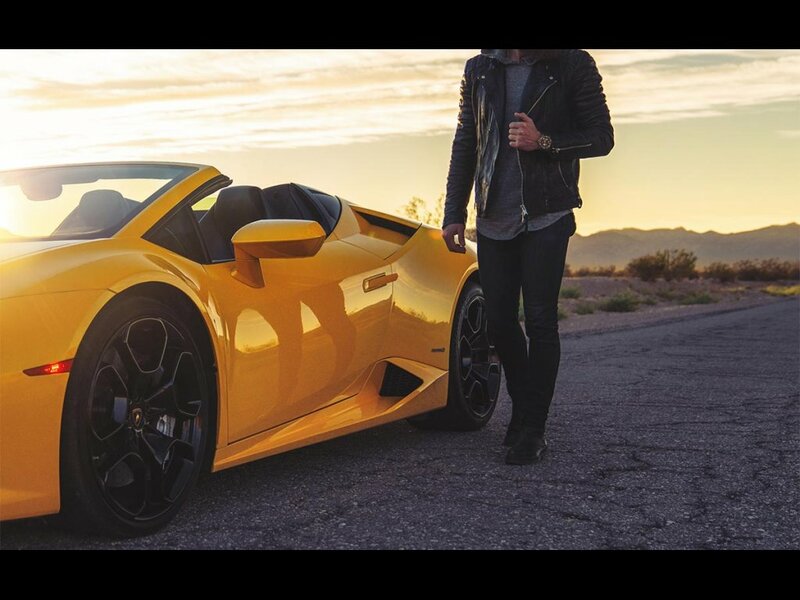 With top speeds approaching 300 km/h and a heady dose of testosterone funnelled into a narrow, winding track, it was quite an adrenaline-filled event! 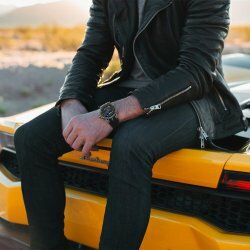 Other versions of the Excalibur Huracán Performante are due to be unveiled in 2019, and word from the paddock suggests that a rather special Lambo will be coming to the SIHH next year. 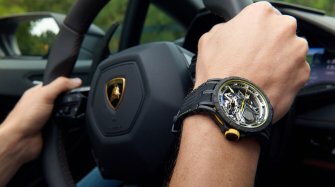 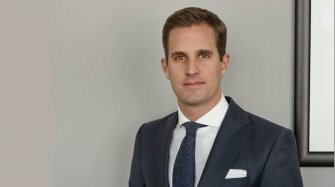 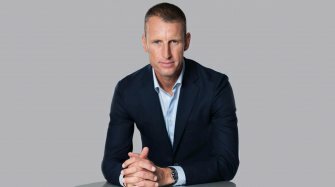 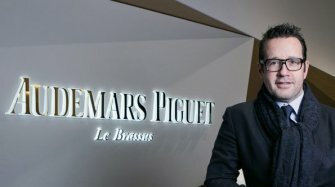 Roger Dubuis’ partnerships with Pirelli and Lamborghini will no doubt be particularly appealing to the company’s new CEO, who moved into his offices on 1 December 2018. 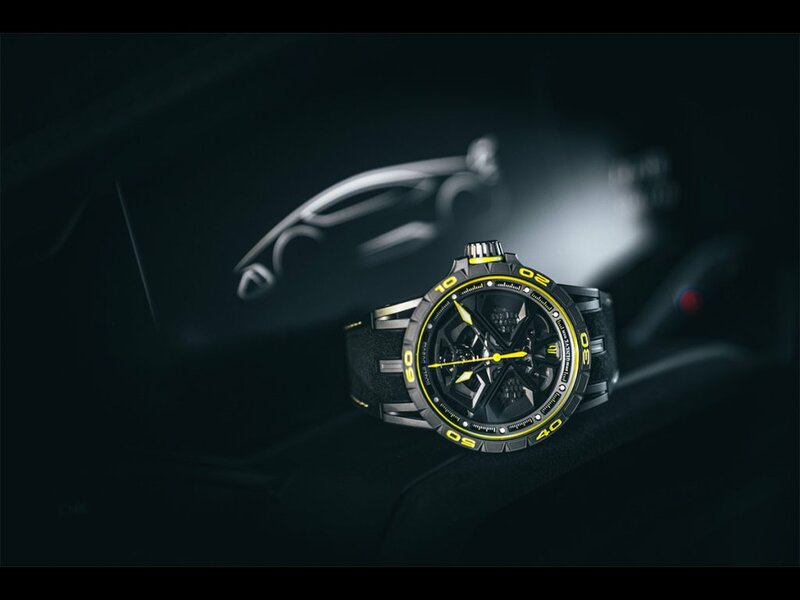 Not only was Nicola Andreatta born in Italy, where these two iconic motor racing brands are a source of national pride, but he was also a rally driver. 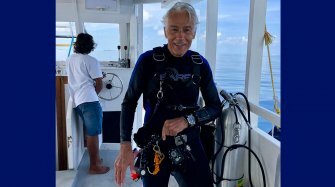 About ten years ago, he swapped the rush of driving a racing car (and helming a yacht, or piloting a plane!) 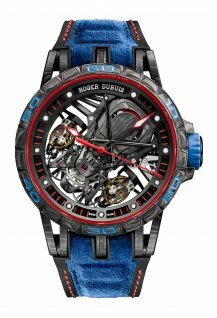 for the joys of fatherhood and family responsibilities. 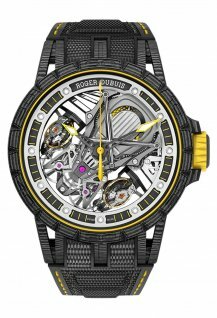 Yet there’s little doubt that he feels a strong affinity for this aspect of the Roger Dubuis brand. 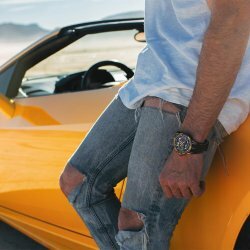 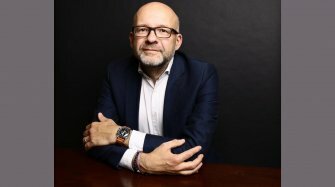 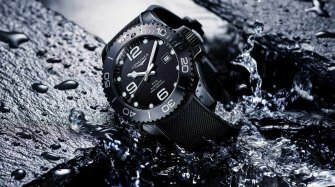 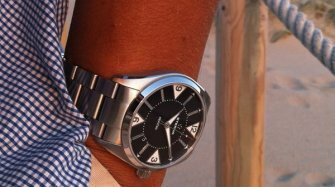 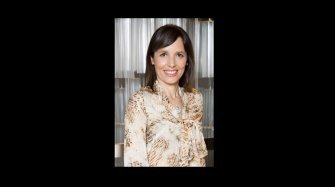 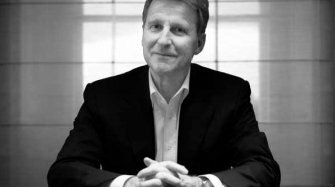  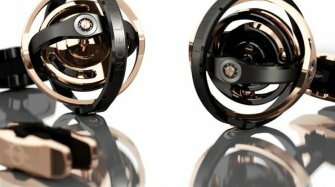 Nicola Andreatta also has many years’ experience in the watch industry, as a CEO (of his family firm and his own brand), in the design sector and also as head of the watch department of American giant Tiffany & Co (see his bio here). 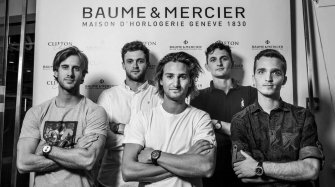 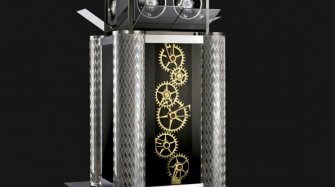 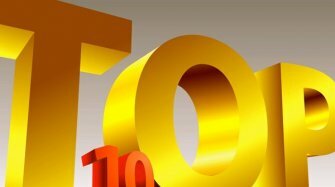 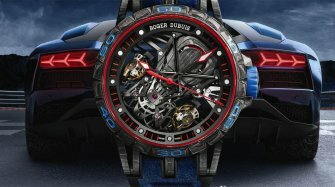 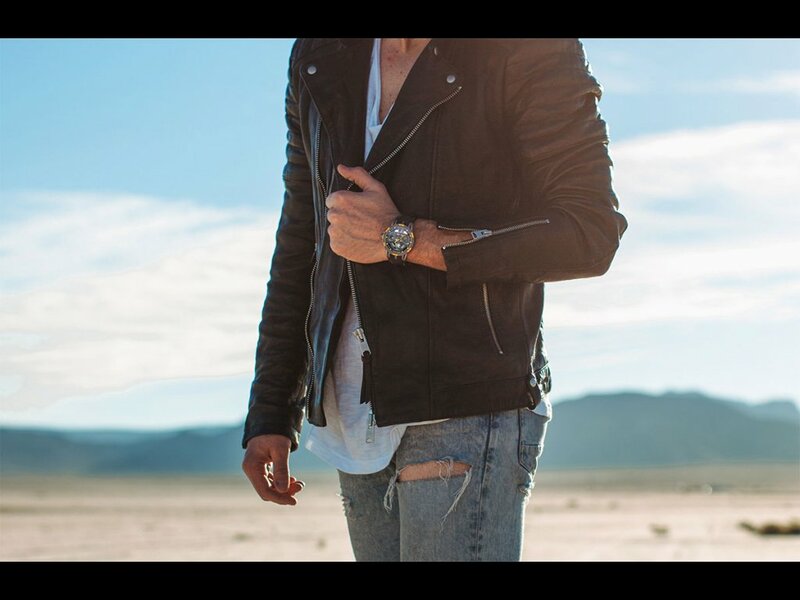 These are all significant advantages, which will help him in his quest to position Roger Dubuis up with the very high-end watch brands that really count in haute horlogerie. 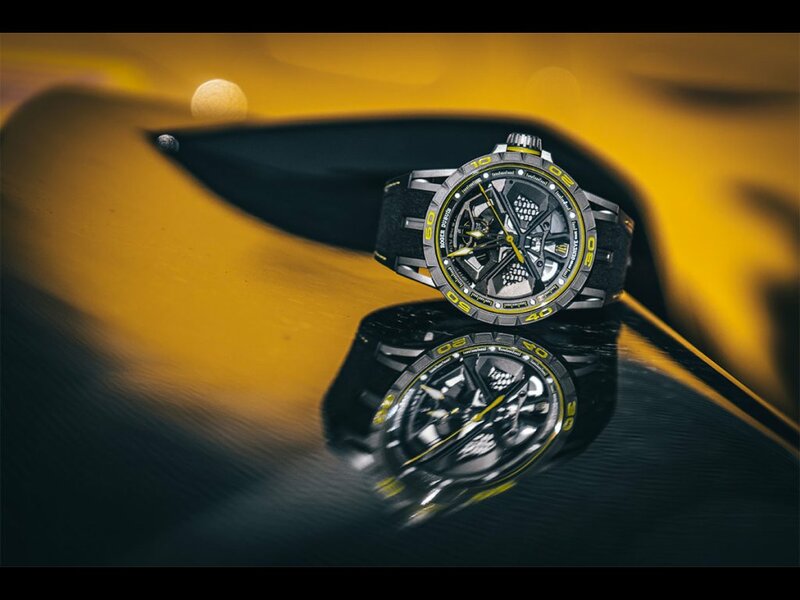 And, who knows, perhaps gravitate from the Grand Prix to the Grand Prix d’Horlogerie de Genève?